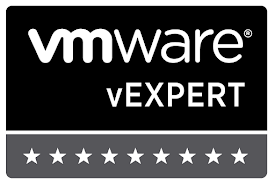 Zsoldier's Tech Blog: Replace SSL Cert Emulex OCM for VMware with a signed one. Once installed, it’s important that you do NOT register the plugin to vCenter using the link provided. This way the plugin registers w/ the 'SSL’ certificate published name. OCM installs w/ JRE and the required keytool.exe. Open a command prompt to this directory. Password for the keystore is “emulex” w/o quotes, all lowercase. You can also check the server.xml file for the java keystore pass. Now you can send the CSR to your CA to get a signed cert. If you receive the error: “keytool error: java.lang.Exception: Failed to establish chain from reply” then it’s probably because your RootCA is not authorized. Refer to step 6 to fix the problem. I always find it hard to understand what SSL would do for me and my server. Now that I get to bump into this SSL Certificates, I have to get enough information and stock knowledge on what it does. I am able to get the users from AD, and assigned to VCOPs group, but when logging using my AD account, I get user/password error (after one hour). Anything i missed? I think I did everything right in the blog but I can't bring up the alternative url in IE. (https://server.domain.com:8443) to register the plugin. Keep getting page not found. Any ideas? That usually occurs if you did not generate a keypair in step 3 OR in simple cases, the service is not started. I definitely generated the keypair and sent to the CA for the cert. It appeared to import successfully. Which service are you referencing? I believe it registers itself as "Emulex OCM for VMware vCenter"
Restart that service. Probably should add that as a step. Yes I restarted the OCM and iis services with no success, then tried a reboot. Still no love. Is 8443 the port used by the Emulex plugin? I believe you can configure it to be different and if you have IIS running as well, you'll need to check you are not using the same port. You can find the port config that the plug in uses by going to it's installation directory and opening the server.xml file under the apache tomcat directory. This'll tell you what ports the plug in runs on. Connector connectionTimeout="20000" port="8080" protocol="HTTP/1.1" redirectPort="8443"
Sorry, comment was formatted wrong. keytool -list -keystore "C:\Program Files\Emulex\OCM for VMware\ApacheTomcat\conf\emulex.vcplugin.jks"
6) Now you can send the CSR to your CA to get a signed cert. Once you have the certificate from the CA, download the certificate chain from the CA. Export the certificate chain and open your ServerShortName.crt, the Iussing CA's certificate, and the Root CA's certificate (if applicable) into notepad. Ensure that there are no spaces before or after the "BEGIN CERTIFICATE" and "END CERTIFICATE"
If you receive the error: “keytool error: java.lang.Exception: Failed to establish chain from reply” then it’s probably because your bundle certificate is improperly formatted. Check your syntax and attempt to re-create the ServerShortName_bundle.pem. 9) Open Server.conf in a notepad and add an arguement to the line : KeyAlias="ServerShortName"
Note that KeyAlias is CASE-SENSITIVE. Save the file and restart the "Emulex OCM for VMware vCenter" service. 10) To validate that the certificte has applied corectly, navigate to "ServerShoftName.domain.tld:8443". You will not see a webpage appear, but if you do not get a certificate error you have succeeded in changing the certificate out. If there were errors in the certificate import process and you still see a SelfSignedCertificate when loading the webpage, the certificate you imported into the keystore is not being referenced correctly in the connector (server.conf) or there were certificate syntax errors. If you find that the webpage shows "Page cannot be displayed" or you get a 404, there is not a valid cert to bind the tomcat instance to, the webservice will simply fail to launch. When this occurs the service "Emulex OCM for VMware vCenter" will show as started. Troubleshoot further, verify syntax, and restart the service.